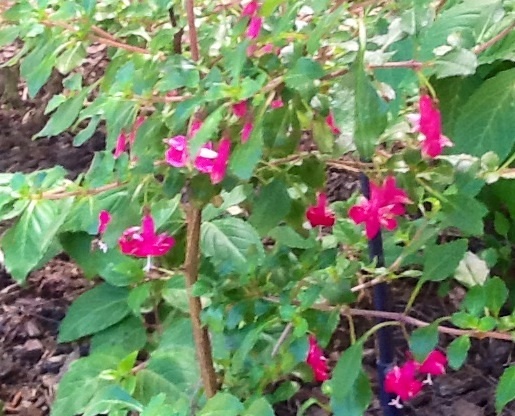 Home / Fuchsias / Fuchsias - Uprights/Tall shrubs / Fuchsia bacillaris "CANDY BELLS"
Fuchsia bacillaris “Candy Bells” – A Rare and hard to find, erect to spreading bush fuchsia,with green foliage. Very small pink and white flowers. Height 60-120cm. Spread 60-120cm. Flowers from September to May. Fruit colour Purple, Brown. Deciduous. Red stems. Beautiful plant, Exquisite flowers and foliage.